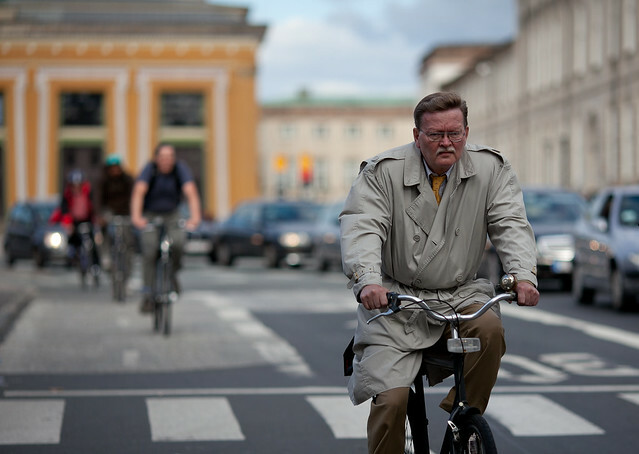 One of the things that makes the cycling scene in Denmark special is that cycling stuck. Cycling stuck as everyday transportation even after cars became evasive. Old pictures from Berlin and recent pictures from Beijing show streets full of bicycles - until cars took over. In Berlin in the 1960's. In Beijing I biked with the masses in the late-1990's. Ten years later people have collectively decided to let their bikes rest and join the perpetual traffic jam on ring road three. Students, IT Gurus, Prime Ministers, Pop Stars, Fashion Models. 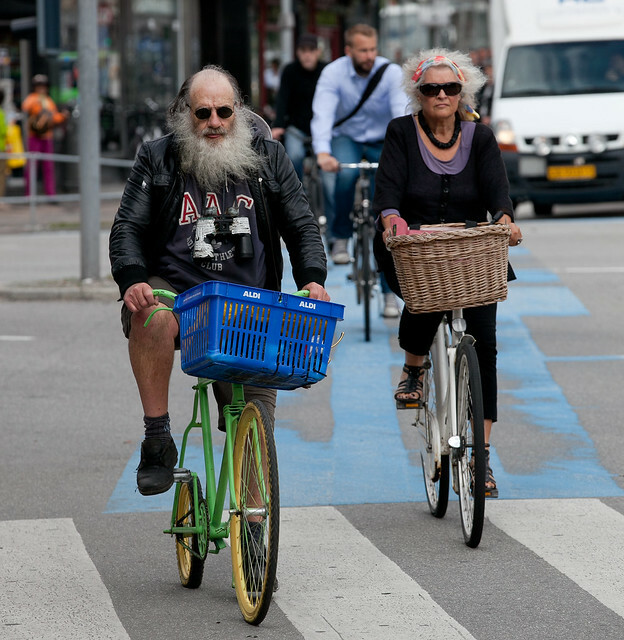 In Copenhagen everyone can be seen on a bike. Children, youngsters, mid-age, old-age. All are out there rolling along happily. 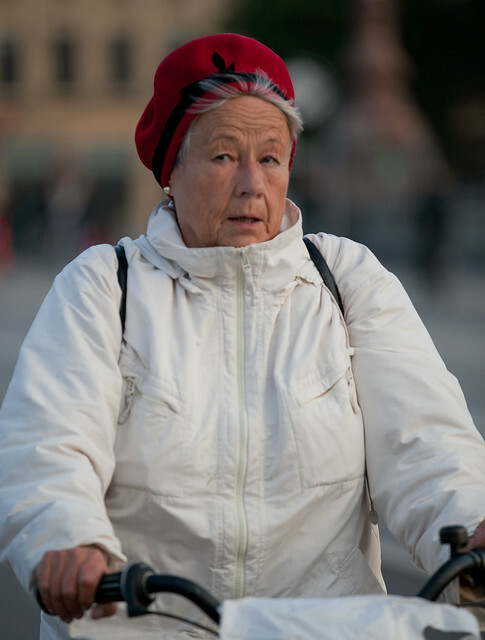 There are several theories to why people in Denmark and Holland kept biking. People often surmise - well its flat! But there are lots and lots of flat cities out there. And still the bikes are gone. Also, I personally by far prefer the sunny Tokyo hills to the rainy Copenhagen flatlands. 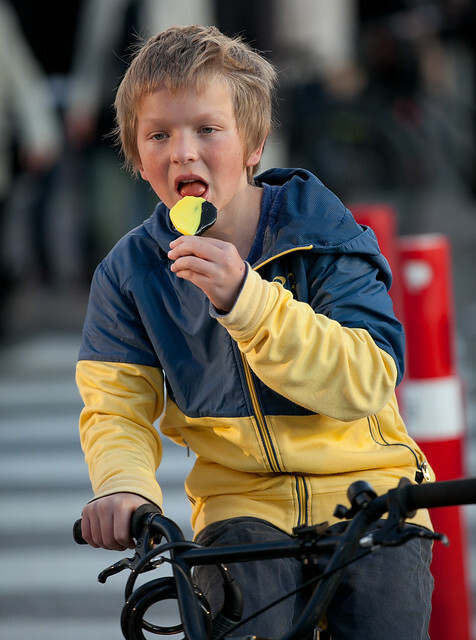 One thing that did help in Denmark was that the Government set in with safety campaigns to keep school children biking to school. I can still remember how the police came one day and taught me the basic traffic rules and issued a "cyclist's" drivers license after I passed the test. Having biked for years to School, High School and University makes it much more natural to keep on biking as you move on to work. 75 % of youth are biking to secondary school in The Netherlands, every days, then at the top of the pyramid, modal share is still 27 % , in Norway just 9 % of teenagers are biking, the average cylingpart in transport is not more than 4-5 %, no secret. Happy cycling! It is true that cycling helps to have a more healthy and easy transportation to anywhere in the city and the countryside, the train for long distances. A Merry Christmas and a great ride with lots of 2012. Loving the diversity of the people in the photos. The soldier on a bike is particularly powerful! You said that the governments kept supporting the use of bicycles to school campaigns. For you to have an idea how difficult things are in Portugal there is an exception on the insurances that only covers expenses with accidents to school by any mean of transport (walking included) except bicycles.